The first man-made object ever to leave the earth's atmosphere was the Russian Sputnik in 1957. It orbited the earth and operated as the world's first satellite. 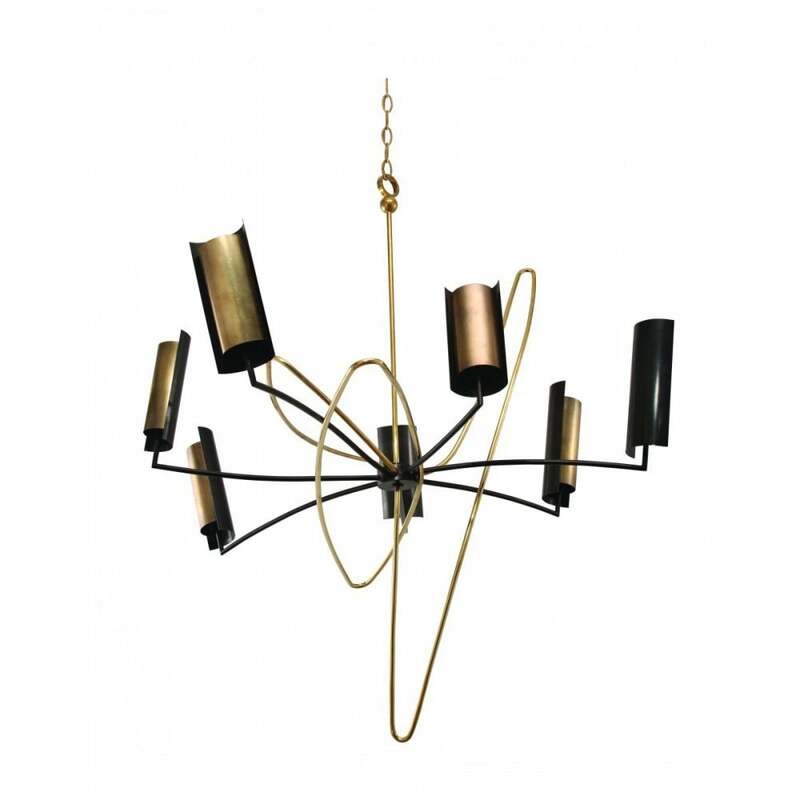 The Sputnik Chandelier in the form of a Graphic doodle is full of movement and energy. Finished with seven irregular sized and shaped bronze and brass lampshades, the Sputnik has the Gareth Devonald Smith hallmark - whimsicality and originality.